Run at Rose Bowl. 6:15am with PTC friends. This is the first in the New Wednesday Run Series. Me, Bruce, Marvin (+Rio), Glenn, and Peter. 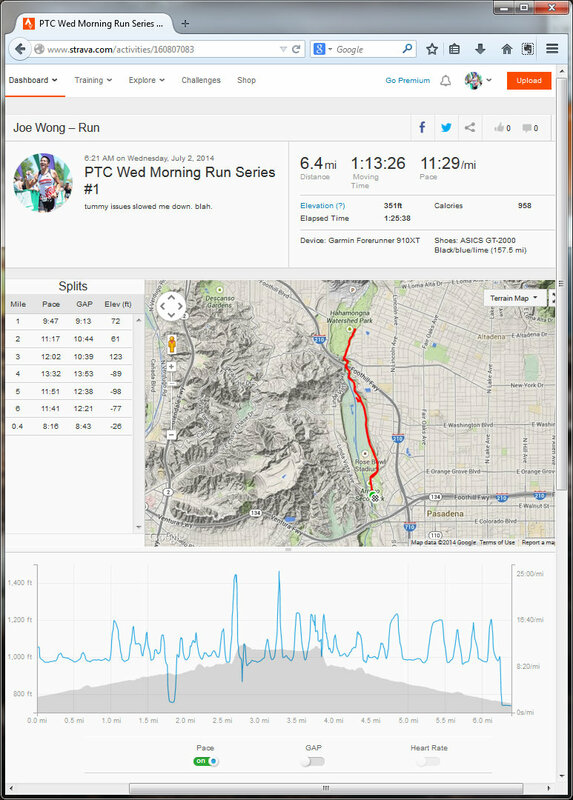 6.18 mi, 1:13 moving time. I had tummy issues which slowed me down for a couple potty stops. Freebies! PTC Hats were given out to all the participants today! Early birds get the hats! Trucker style or runner style. Pic was post-run, so my white hat was a bit drippy. 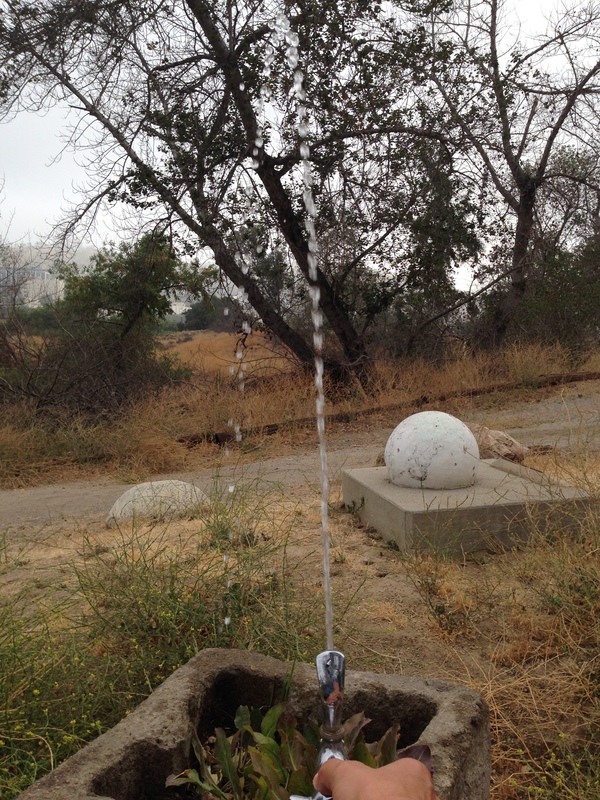 Water at the old baseball field (3mi turnaround point). Warning, don’t get shot up the nose. ← Softball. All Stars Junior Championship. Part 1.